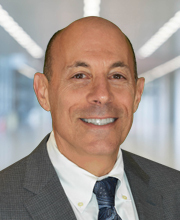 Steven L. Marcus, CPA, has been the Managing Partner of Gettry Marcus since 1987, providing strategic oversight and direction to ensure consistent execution and delivery of client service. He has been instrumental in the firm’s diversification and growth, expanding Gettry Marcus’ presence in the New York-Metro Area and establishing experienced and highly credentialed practice groups which include Business Valuation & Litigation Support, Health Care and Real Estate. Under his leadership, Gettry Marcus has also expanded the firm’s diversified capabilities through the retention of talented professionals, many of whom are considered experts in their specific service areas, which include taxation, audit and consulting. Mr. Marcus provides consulting services to companies of all sizes, focusing on issues facing closely-held and family-owned businesses as well as other professional services firms. Mr. Marcus is on the Board of Directors of the Mental Health Association of New York City, Entrepreneur’s Organization – LI, and Sunrise Day Camps Association. He served as the Corporate Chair of the SunriseWALKS 2016 and 2017. He has been honored by the Long Island Business News as one of the Outstanding CEO’s of the year for his business achievements and community service and has been chosen by Accounting Today as a Managing Partner Elite. A graduate of Syracuse University, Mr. Marcus is a member of the American Institute of Certified Public Accountants and the New York State Society of Certified Public Accountants. He has served on various committees of the New York State Society, focusing on practice management issues.